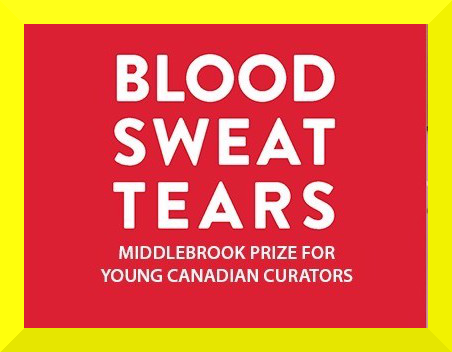 Seize this opportunity to engage with 2016 Middlebrook Prize co-winners, Isabelle Lynch and Sophie Lynch, as they explore their exhibition Blood, Sweat, and Tears. Even more special, they will be awarded their prize in a ceremony with some past winners and Jury members. Come out to Art Gallery of Guelph this Saturday 19 November at 4 pm. Click here for the brochure on the event.